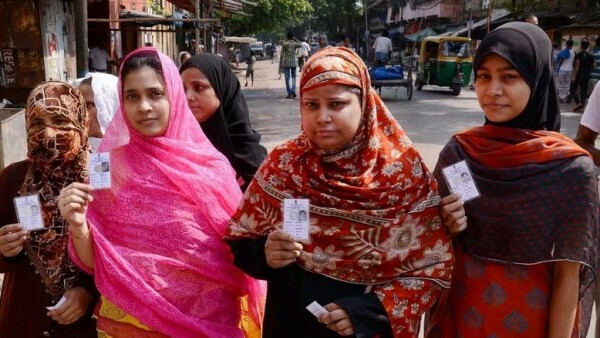 The 'M' factor will have a decisive say in West Bengal polls as the demographic profile of the state shows that there are six Lok Sabha seats with more than 7 lakh Muslim voters and in eight constituencies the number is between 5 and 7 lakh. In the remaining 28 seats, the Muslim population is less than 4 lakh. Both the seats were won by the Trinamool Congress in 2014 but going by the current assessment, Coochbehar is being considered to be a low-hanging fruit for the Bharatiya Janata Party (BJP) which is looking to increase its tally in the state from two seats — Darjeeling and Asansol — in last elections. Out of the 42 seats, 34 were won by Mamata Banerjee’s Trinamool Congress, four by the Congress and the Left and the BJP got two each. Maldah Uttar, Maldah Dakshin, Jangipur and Murshidabad will go to polls in the third phase on April 23. Nine seats — Dum Dum, Barasat, Basirhat, Jaynagar, Mathurpur, Diamond Harbour, Jadavpur, Kolkata Dakshin and Kolkata Uttar — will see polling in last phase on May 19. The BJP has invested heavily by launching an aggressive campaign against Mamata Banerjee. According to the party’s internal assessment, it can get 10 seats but the Trinamool Congress is determined to repulse the BJP’s march.